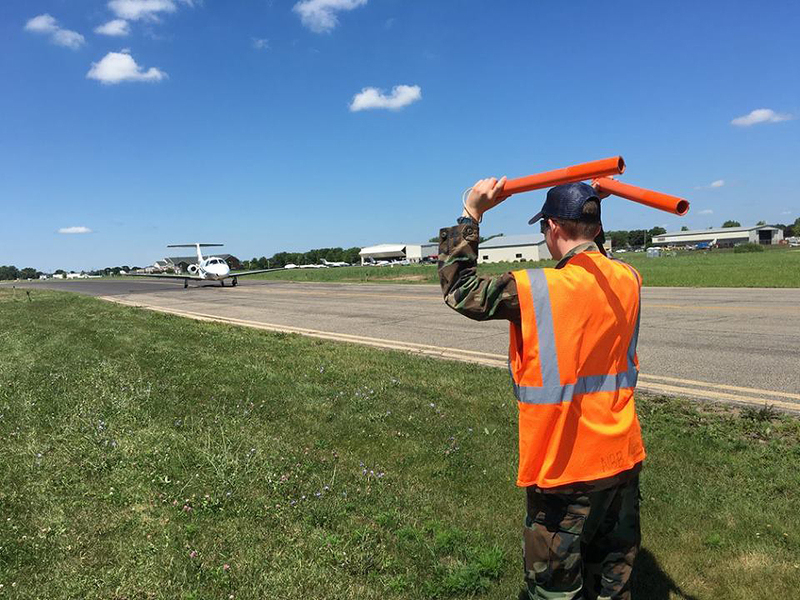 8/19/2016–OSHKOSH, WI–Each summer, Civil Air Patrol cadets have the opportunity to participate in over 20 National Cadet Special Activities. One of these activities is National Blue Beret. At National Blue Beret, cadets have the opportunity to work at the Experimental Aircraft Association’s AirVenture Fly-in, held annually at Wittman Regional Airport, Oshkosh WI. From July 18-August 1, 2016, C/2d Lt Christopher Herman of the Sugar Valley Composite Squadron, NC-052, learned what it means to be a Blue Beret.